Shomolu is one of the most prominent printing hubs in Lagos. Most houses around here have a printing operation going on in small kiosks that appear to have been tacked on as an afterthought. 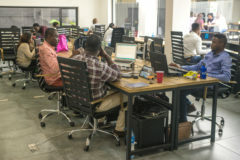 The Printivo office is on the edge of all that, in a nondescript warehouse nestled between multiple-storeyed residential buildings. The glass door that opens up to the reception is frosted with ‘Printivo’. It is done in the startup’s signature colours; cyan, yellow, magenta and black. It was a hazy Wednesday morning on the day I visited. I found myself outside the Printivo office leaning on one of the finishing desks in front of the building. The staff use the desks to execute the final stages of print jobs that require trimming, folding and sometimes binding. I had let myself into the reception, but stepped out to escape the heady smell of ink, paper and heated film. “Sorry I kept you.” It was Oluyomi, in a striped shirt, dark straight cut slacks and muted black loafers. 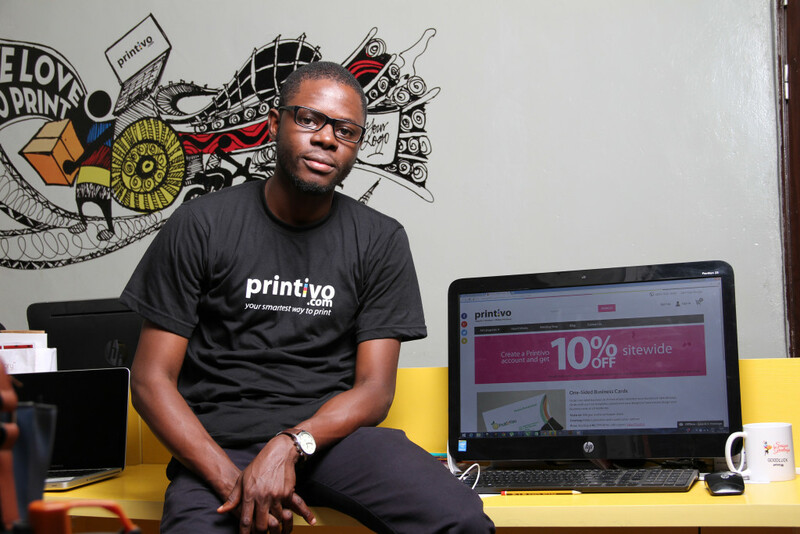 Oluyomi Ojo is one of Printivo’s founders and the CEO. He leaned in for a familiar handshake – we’ve met many times before. 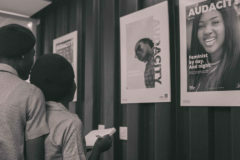 The last time was at TechCabal’s africaBeta back in October. Two weeks before my visit, Printivo announced a six-figure seed round from EchoVC. The news made it to TechCrunch. 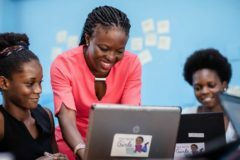 Another Nigerian startup was asking the world to acknowledge it. I stepped inside with Oluyomi and went past the reception into a larger space in which there were eight people sitting behind PCs in a large bullpen. To the left of me, there was another huddle of five people wearing pink tee shirts. “We call them, ‘customer happiness’”, Oluyomi said of the pink tee group. Ahead and to the left was a small glass compartment; the Printivo conference room. We stepped inside. There is a loud little machine which I am told is called a plotter, and it’s making quite the racket. “We don’t have space, so we had to bring it here,” Oluyomi said apologetically. I nodded. The plotter is so large that it obviously should have been in the press. We circled back into the digital printing room where they print small business card orders with a Konica Minolta about the height of a standard tennis net. “This is a capital intensive business” he said. 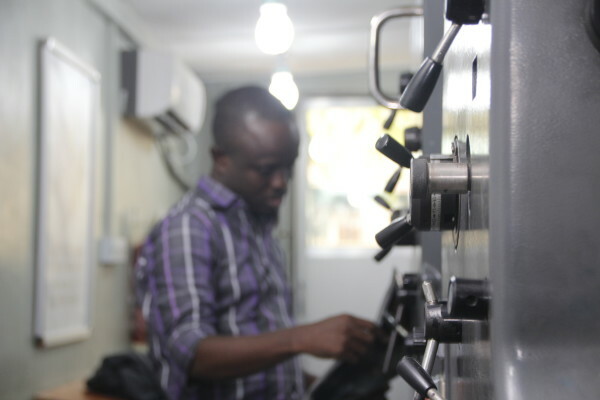 “This machine cost us over N10 million,”. We keep moving. I can hear heavy whirring in the direction we are headed. It’s obviously the printing press, where the magic happens. “Don’t just start. Continue. Ship. Repeat”, a Seth Godin motivational frame at the end of the press line admonishes. I smile. This is a different kind of printing press. The machines are lined like a factory production line. The film maker. Mug printing machine. Lamination machine. A couple of small machines whose functions I can’t hazard a guess at. Some bigger ones with long unpronounceable names. The offset printing machine and finally, the cutting machine. I remember the cutting machine from my college printing press. We called it “the guillotine”. Printivo is a printing business. But unlike the other 200 odd print shops in Shomolu, Printivo is a technology-enabled printing business. Via its website, customers can upload their designs, or customize a ready-made template and have the results printed and shipped to them. The ones that cannot be bothered with design or template customisations can simply request a comprehensive print package — Printivo will create the designs and ship them. 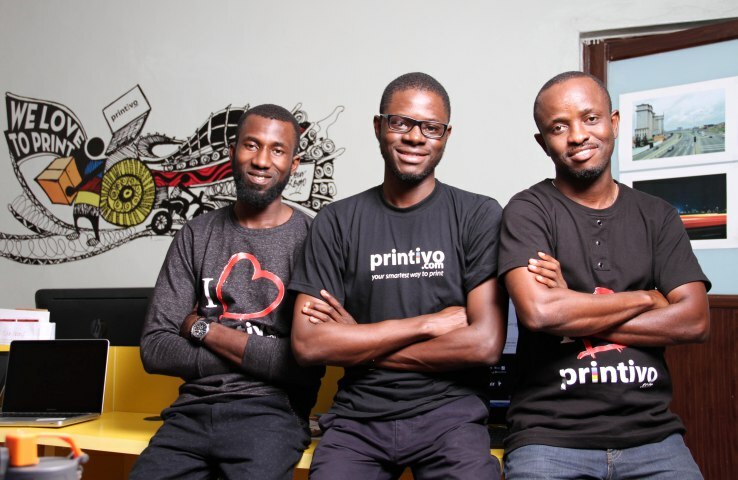 Over the last 18 months, Printivo has become a permanent fixture in most startups’ printing budgets in Nigeria. The card lamination desk at Printivo is a roll call of the most prominent startups in Nigeria. “Those little things like on-time delivery, replacements when customers complain will get people to keep coming. One of the most profound lessons I have learned is that all through the lifetime of your business, your number one funder is the customer with or without VC money,” he adds. Oluyomi speaks quickly, like there are too many words he would like to say at once. There’s also a lot of gesticulation punctuating the verbal torrent. We are sitting in the digital printing room now, the only place in the building that is bearably quiet. What will Printivo do with the money in the bank? Well, they won’t be buying soundproof wall fittings. “Part of what we’ll do is expand our product range. Add products that we know our customers will like to order. 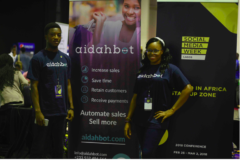 We’re also hiring, so we are looking to work with really passionate people and we’ll use that to accelerate our customer acquisition,” Oluyomi said. 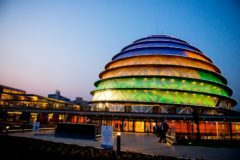 There is also talk of expanding across Africa. In a previous discussion, Oluyomi called the continent a $6 billion printing market. He doesn’t say how soon. “We’ve had people order from Kenya and have us deliver to a friend in Lagos who will then send it to them.” he says. It wasn’t always six-figure funding, expansion and exponential growth for Printivo. In 2002, thirteen years ago, Oluyomi was hawking hand-made greeting cards on the University of Lagos campus, which ironically is a ten minute drive from the present Printivo office. It was at UNILAG that Oluyomi would meet Ayodeji Adeogun, who would later become his co-founder. But none of them would have thought it at the time. “He was just ‘one guy’ selling greeting cards. Deji recalls. He is wearing a white, slightly oversized collared tee that makes him look smaller than his already slight 5ft 3 frame. He graduated from the University of Lagos, and holds a Master’s degree in Geographic Information Science (GIS). Right now, he is feeding a roll of uncut business cards padded with light transparent films into a laminating machine. “I took an interest in what he did and was like ‘let me just support him’. So I would introduce my friends to him, to get them to buy his stuff. Sometimes, I asked him to stay over and listen to lectures”. The 18 year old Oluyomi would get admitted to study Mathematics in another university in Oyo state, 250 miles north of Lagos. He lost contact with Deji, until their paths crossed again eight years later by what appears to be pure happenstance. Oluyomi’s former company, Urbanbaze was working on a project that required a GIS expert, and someone recommended a guy called Deji who was pursuing a Masters at UNILAG. Oluyomi got onto the phone to call this guy, and the guy on the other end turned out to be his “guy”. They had come full circle from the time when Oluyomi used to make cards from waste paper thrown out of Somolu’s print shops to sell in Deji’s class to the beginnings of a thriving business partnership. Deji transitioned from providing services to Urbanbaze to becoming a crucial part of the agency’s operations. And by the time it was time for the “next big thing”, working together was a no-brainer for Oluyomi. “When we were about to start Printivo, there was obviously no one else more fitting for the role,” he says. Urbanbaze’s business was digital advertising and signage. Oluyomi founded it the year he left the university. 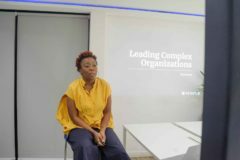 The premise for Printivo was born out of a trend that Oluyomi had observed in Urbanbaze’s interactions with the small and medium scale businesses that patronised them. It was at this point that Oluyomi brought in Ibukun Oloyede, the art director at Urbanbaze to manage graphics and printing for the new business. Ibukun started as an intern at Urbanbaze after meeting Oluyomi in 2009, while learning how to fix computers at the Computer Village in Ikeja. 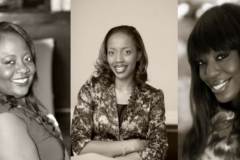 The three co-founders ploughed money from Urbanbaze into the new business. More than $50,000, Oluyomi tells me. Printivo is reminiscent of a rising trend the African technology ecosystem. Technology complementing and enabling existing offline business models or sometimes replacing them. And as if in mockery of the generally accepted startup logic that profit will typically come somewhere down the road, Printivo began to make profit from when it opened its doors for business last year. Oluyomi is cagey with the figures, but he says they grew 100 percent from quarter to quarter. He makes a point of noting that his first customers came from Printivo’s launch post on TechCabal. He laughs when I ask about royalties. 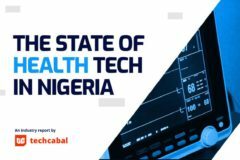 Oluyomi believes that one of the early structural calls that has proved to be strategic for them was the decision to insist on collecting payment before making deliveries, even when POD (payment on delivery) was the prevailing wisdom of 2014, and largely still is. 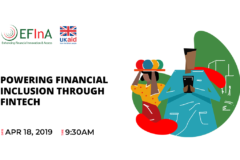 Conversation on the harm or otherwise of payment on delivery on Nigerian ecommerce continues to swirl. The pro-POD camp argue that giving Nigerians the option to pay after they have received the goods is the easiest way to get past the inherent suspicion of ecommerce. However, Printivo’s customers appear to have built faith in the startup. “We’ve added a trust layer to it. If for any reason you don’t like your order, Printivo is going to print another one. We are building trust in an organic way,” Oluyomi says. There is competition. 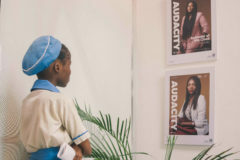 There are legacy (read “offline”) print shops to contend with, as well as Printmagic in Ikeja, and B2Edge just across the street that offer web-enabled print services similar to Printivo’s. Oluyomi thinks the market is nascent and can accommodate multiple players. 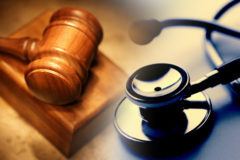 “While we are not ignoring the competition, the customer is our number one focus”. I stop to look at the wall art behind the bullpen before stepping out the door. “I painted that,” Oluyomi tells me. It is the Printivo mascot – a puffy stick figure carrying a brown box – is painted against an abstract background. 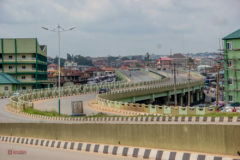 The National Theatre, a stretch of road, and a row of high rise buildings reminiscent of the Lagos Island. “That’s Mr. Tivo,” he tells me, referring to the mascot. “People ask us when it is coming every time they send us print work. It delivers across Nigeria now, and soon all over Africa.” I make to ask him where in Africa they are extending their operations to next. I catch myself. He won’t tell. For strategic reasons, he’ll say. “I can only tell you, we are starting with the English speaking ones,” he says in response to the question I never asked.